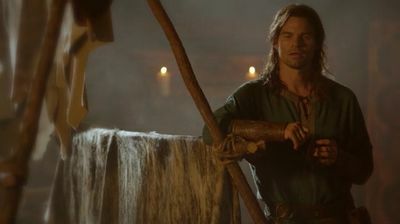 In order to show Elijah that her plan is what's best for him, Esther forces him to relive a time long ago when he loved a young woman named Tatia. With the help of Marcel, Hayley is determined to find Elijah, who has gone missing, but is torn when she discovers that Klaus is also in trouble. Elsewhere, Cami finds herself in a dangerous situation when Mikael takes her hostage as a way to lure Klaus to him, and Davina makes an upsetting discovery about Kaleb's true identity. Lastly, a violent confrontation ensues when Klaus comes face-to-face with Mikael.